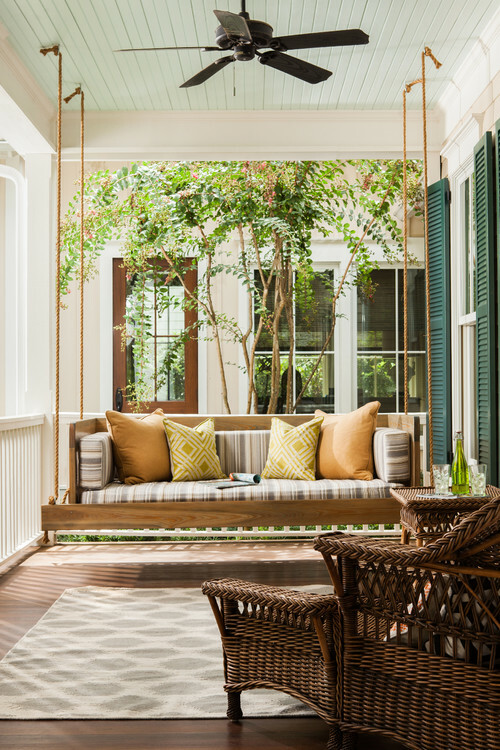 What is so magical about a patio? 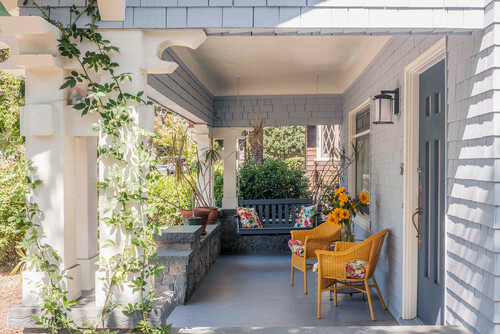 Am I the only one who squeals when I drive by any and all houses adorned with that perfect covered porch? Is it because we so appreciate being able to sit outside up here in New York? 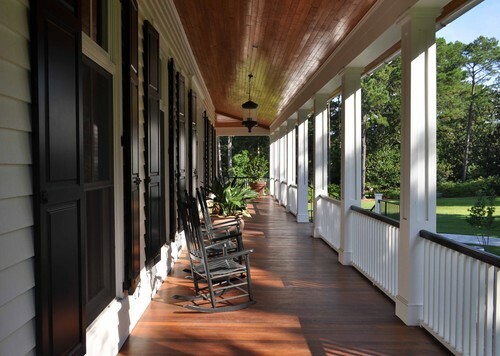 Or, is it because porches have been engraved in this country’s architectural genetics since the beginning? All I know is there’s just something about them. This past weekend I spent at my parent’s and learned they built a “morning” patio, as they like to call it. It’s heaven. Before the sun hits it directly there’s a beautiful breeze. The giant maple and persimmon trees fill in the surrounding gorge, and the lifted patio is something resembling a fairy’s tree house. The sectional my mom bought from Wayfair is perfect for lounging, drinking coffee, and gradually waking up. She says she’s not finished, still needing a rug, plants and some more decor. It was good enough for my weekend escape though. The little table and chairs fill in the remaining space and allow for an outdoor breakfast spot. What a way to start the day in these few, short, summer months. You really appreciate, and feel, that you’re getting the most out of the precious time and weather. After a workday, my parents come home to their back, stone, “evening” patio. With a full table for dinners, big comfortable outdoor seating, a garden to watch over, and a birdhouse always full of baby birds. They built the house about 5 years ago and have been slowly adding their touches. Bistro lights strung from house to tree, a fire pit to the side, the garden, etc. Then there is their porch. She mixed up her style in the front from rustic to coastal with the navy of the house, red chairs, and more beachy decor. What I love most about my mom’s style is how homey it is, while keeping her own flair on rustic modern. 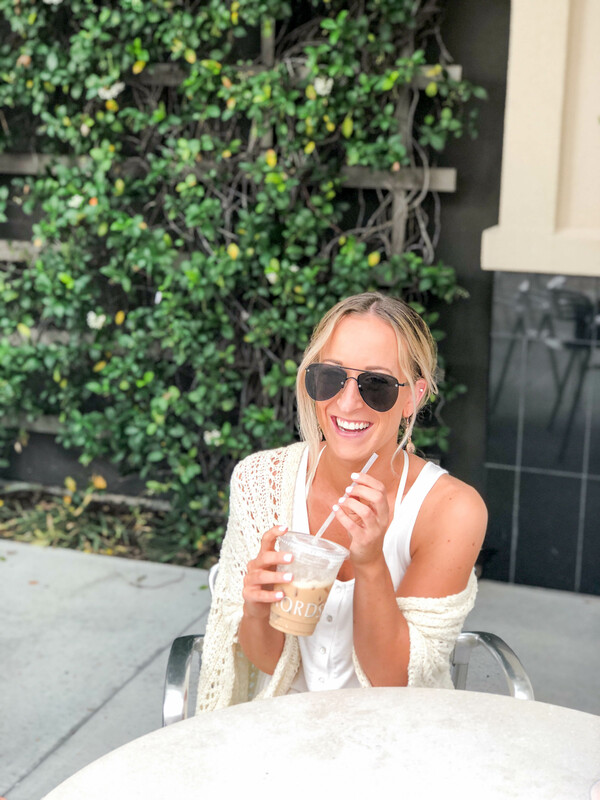 Hanging out, writing this post, writing, reading, editing, designing all weekend on the patios got me so excited about the outdoor spaces at our house. The front porch is a great size, looking towards the (much larger) houses/mansions of Elmwood. It is exposed to the bustling street so I started to think about what kind of decor would work. 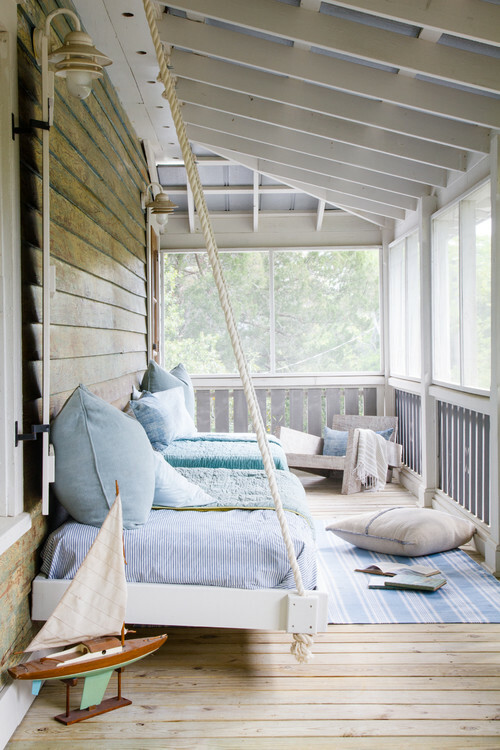 A porch swing? A bench? A few chairs? Naturally, I headed over to Houzz seeking inspiration. I definitely love that southern style with the wood finish on the roof, a ceiling fan humming while you read a book. Reminds me of, yes you guessed it if you know me, Charleston. This brings me to the back patio off the master bedroom. There is already existing wood on the ceiling, original from 1880. From what used to be a closed off, awkward indoor porch to an open-air little slice of heaven, facing the quiet back street, it was probably the two best decision we made on the house. One, to even keep it, and two to open it up. This is the spot I am dreaming of. Even come fall, waking up, wrapping in a blanket, snuggling with my coffee cup. Swoon. Love this post! You make it look so inviting with your photographic eye. Yours will be beautiful – can’t wait to see the final product!